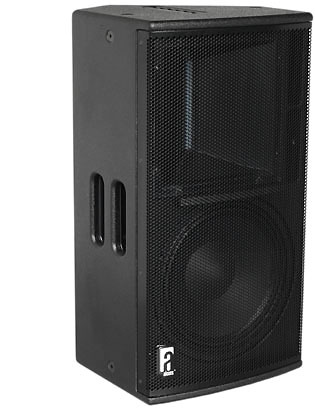 The VR12 is a 2-way compact multi-purpose loudspeaker, for both portable and permanent applications. Featuring the patented RBN601 pro-ribbon driver, the VR12 is ideal for applications where high output, high quality reinforcement is needed. The RBN601 is mounted on a “revolvable” 90°x40° wave-guide and projects with “Real-90” horizontal dispersion up to 20.000Hz.. The Signal Integrity Sensing™ pre-wiring ensures complete cable/connector compensation between VR12 and ALC. The asymmetrical enclosure design provides for very flexible mounting (ceiling, wall) and usage. Typical applications for the VR12 include main system for theatre, A/V, PA, as well as high power stage monitoring. In applications where extended bass response is required, the VR12 can be combined with a pressure-bass or deep-sub system. A For full system performance, the VR12 needs to be driven by an ALC controller-amplifier. The SpeakerDriveProcessing ™ circuit of the ALC offers dedicated protection and filtering, with remote system equalizing; By fully utilizing the individual speaker components’ efficiency, this results in a 4dB increased headroom from 800Hz., under dedicated inaudible (power and excursion) protection. The VR12 is available in standard version and “i” installation version, without handle, standmount and tilt-point. Also, both models are available as “m” version, without mirrored baffle.